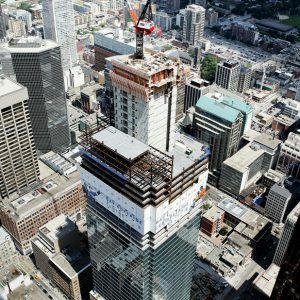 Bay-Adelaide Centre West - Walters Group Inc. 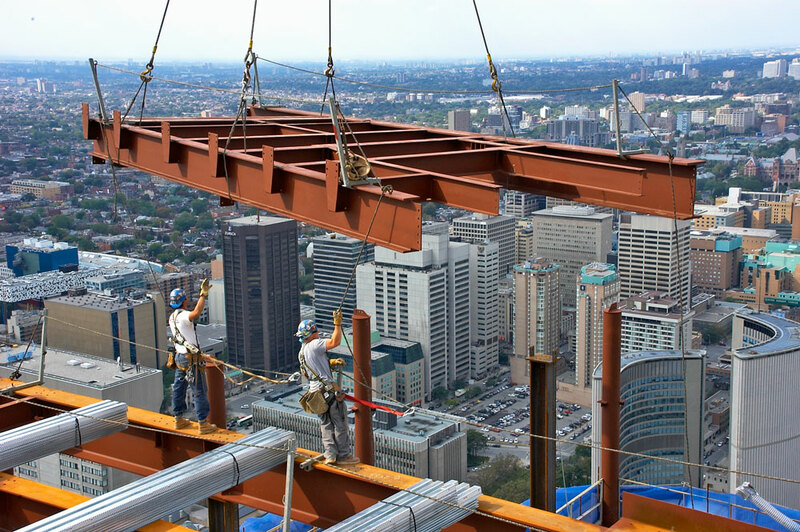 The Bay-Adelaide Centre West (Phase 1) Tower in Toronto was the first steel-framed, high-rise building to be constructed in Toronto in over 10 years and the only LEED certified Core and Shell Gold office building. The building is designed as a landmark signature tower, with a distinctive rooftop silhouette that leaves an architectural imprint on the skyline. 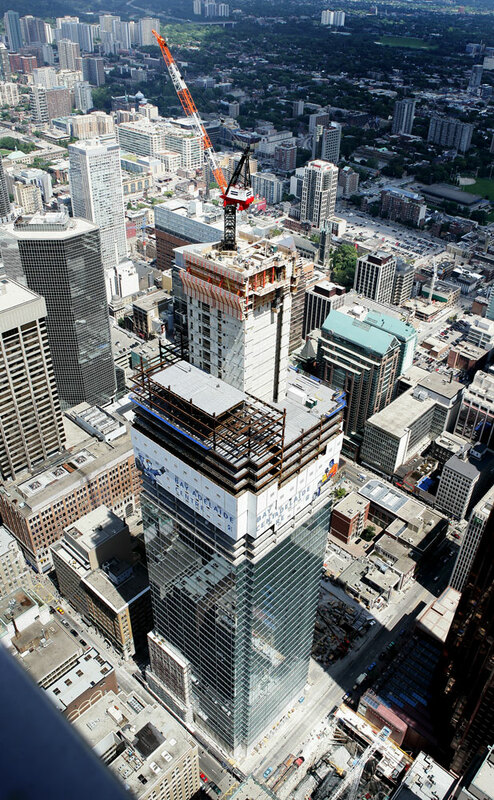 Standing at 52 storeys, this AAA building is home to some of Canada’s top-tier companies including Thomson Reuters. 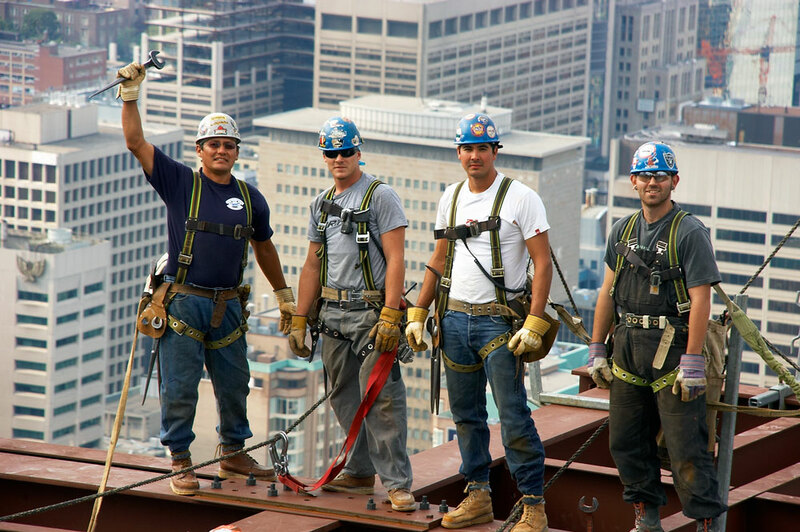 Walters was responsible for the detailing, fabrication, and erection of the 52 floors of structural steel framing. 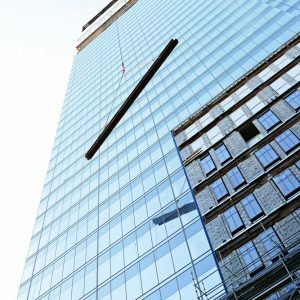 We supplied connection/construction engineering, detailing, fabrication, and erection of 9,500 tons of structural steel, the metal deck, and supplied crane and operation. 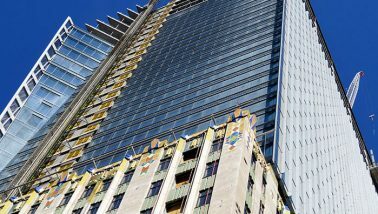 The design of the building integrates the 11-storey historic façade of the former National Building. 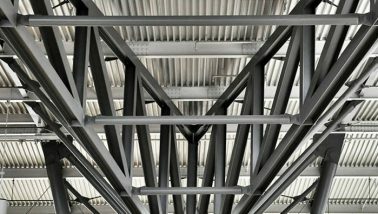 Interfacing the steel with the historical façade was delicate work. 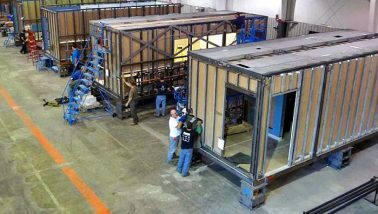 Working within a tight footprint was also a challenge. 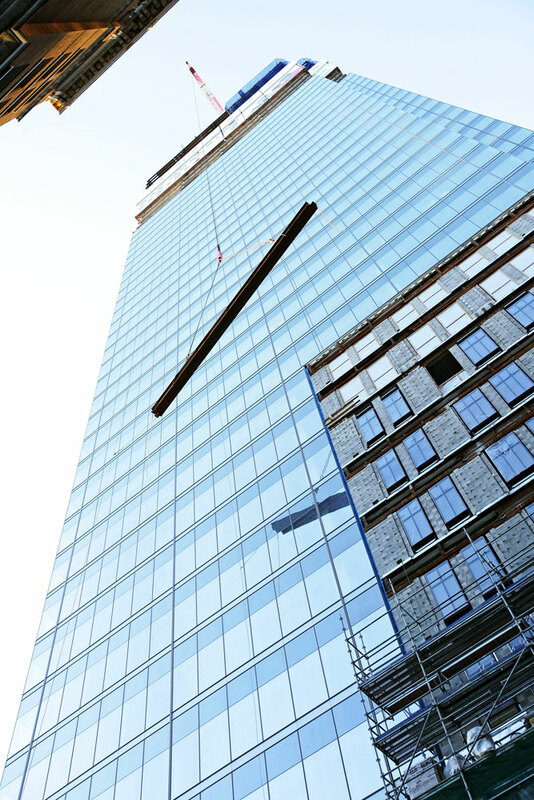 We developed and built our own crane climbing system to work within the site logistics and to meet the tight schedule. Integration and marriage of the reconstructed façade of the original heritage building with the new modern, clean look makes for a visually intriguing building. The architect used a corner detail framing design utilizing cantilevered construction to allow for eight prestigious corner offices on each floor. The large loads at the level ten, sloping column transfers, were a challenge to design and build into reality. 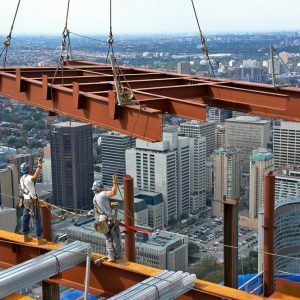 To meet the aggressive schedule of the project, we had to work closely with the concrete contractor to coordinate the pouring of concrete core ahead of steel erection so that we could work simultaneously. We also had to manage a major design change mid-project that involved relocating the mechanical level which resulted in creating an additional floor.